10 What will shape the supermarkets of the future? Lakeland, Florida-based JBT Corporation, the global technology solutions provider for the food and beverage industry, has announced the acquisition of FTNON, a leading equipment specialist for the fresh produce, ready meal, and pet food sectors. JBT purchased the Almelo, Netherlands-based company, which has a presence in more than 60 countries and provides a range of state-of-the-art technology for food processors including pre-cleaning, produce preparation and mixing systems, for €32m before customary post-closing adjustments. 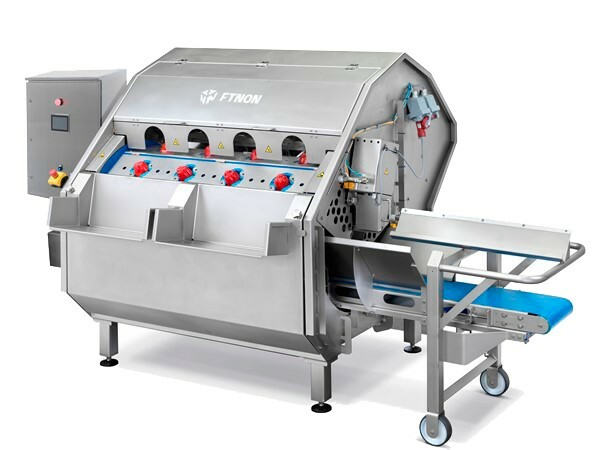 Tom Giacomini, JBT’s chairman, president and CEO, said: “FTNON provides us entry into the fresh-cut equipment market, tapping the rapidly expanding demand for ready-to-eat fresh produce. Until now, JBT’s main focus has been on proteins, liquid foods and automated systems. The acquisition of FTNON is expected to add annual revenue of approximately US$30m to JBT’s FoodTech business, which already provides a wide range of technology and processing solutions to the fresh produce sector, including labelling and cleaning systems. JBT Corporation employs approximately 5,800 people worldwide and operates sales, service, manufacturing and sourcing operations in more than 25 countries.